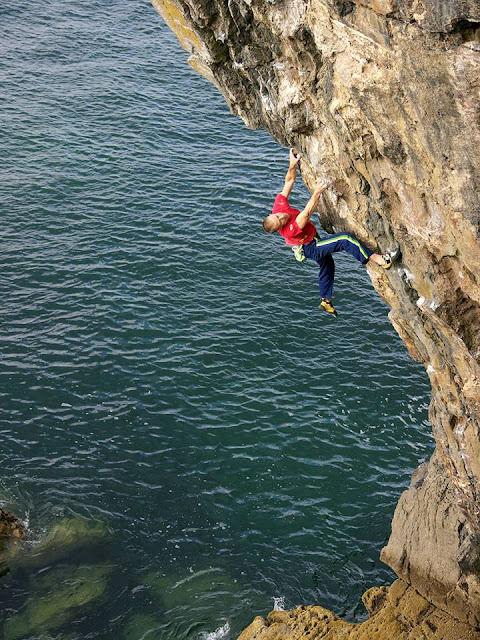 Neil Gresham has recently pointed out on his Facebook page that there are still five deep water solo’s grade F8a and above that are awaiting a second ascent on the sea cliffs of Pembrokeshire, UK. A repeat of these iconic test pieces are an important part of confirming the grades. If you're someone that fancies ago then the following information has been provided by Neil Gresham himself to help you on your way. Britain’s first 8a DWS to be climbed ground-up, in 10 attempts spread over 3 days in 2004. Climbing style: Continuously overhanging (35 degrees) power endurance. Burly lay-backing. Low in the grade. Height: Approx 50 feet at Spring high tide. Tides: High Springs preferable but high neaps are ok.
Access: Abseil down the line of ‘Rusty Dog’ just to the right (facing the cliff from the sea) to a ledge and traverse in, leftwards. No dry-bag needed. Getting out of the water: Swim across the small zawn to the left and an easy scramble out. Drying conditions: I can’t remember the optimum time of day but the rumours that Wizard rarely dries out aren’t true. 1 or 2 pockets seep permanently around the crux section near the top, but these weren’t used to climb the route. 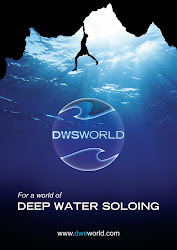 Climbed in 2011 and at the time, probably the hardest DWS in the UK due to a combination of difficulty and logistics. The cave has incredible atmosphere. Climbing style: Easy first traverse (F6a) leads to continuous overhanging (50 degrees) power- endurance, with 2 distinct cruxes (V7 then V6) followed by an easy exit chimney. Pre-practiced on abseil for 1st ascent. 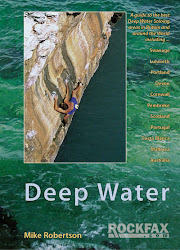 Height: Approx 60 feet at high Spring tide to the end of the hard climbing / 90 feet to the top. Access: Tricky. Abseil down the East flank of the cave and swim or dingy in with a dry-bag. Or rig a tyrolean traverse at low tide from the start of the route to the ledge on the Western flank. Getting out of the water: A VS Solo out up the abseil line on the Eastern flank (not above deep water), or jumar out, or go back out up the tryrolean using a jumar. Drying conditions: Dry in evenings only. Sun or on-shore breeze required. 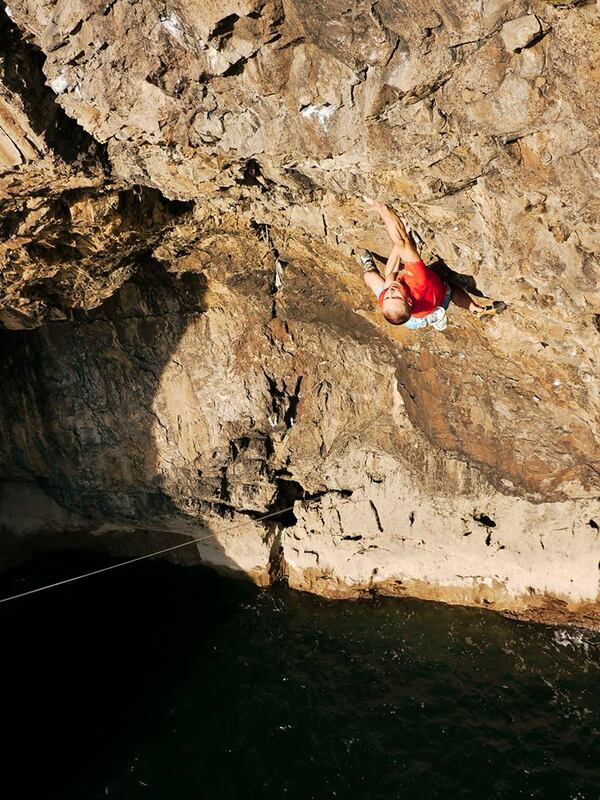 Climbing Style: Continuously overhanging (30 degrees). 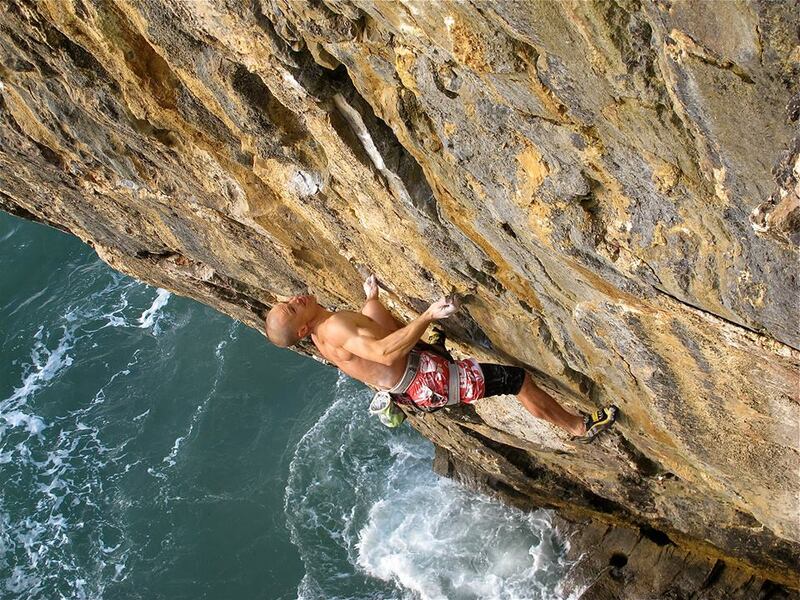 Direct finish to Gav Symonds’ ‘Imposter Bee’ 7c+. Up this route – F7a juggy groove to a good rest then a tricky V5ish section to the break. Swing slightly right to a V6 boulder crux and easier finish. Location: Forbidden Head (2 min approach) See Pembroke guide. Height: Approx 60 feet at high spring tide. Tides: High Springs. Note the landing zone is clear of the ominous boulder in the water. Access: Abseil down the corner to the right of the route (facing the route). Swing in using in-situ threads. Drying conditions: Mornings are best but evenings are possible with an on-shore breeze required. 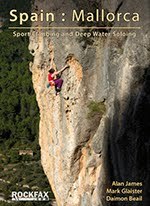 A photogenic ‘battleship’ arete, which appeared on the cover of Climber (UK). I thought hard 7c+ but a few others who looked have said soft 8a. Pre-practiced on abseil for 1st ascent. 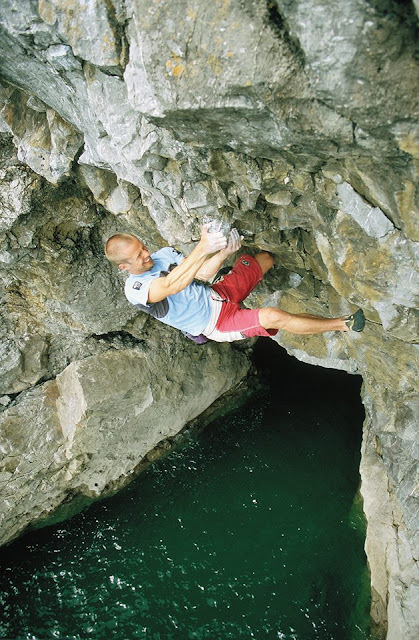 Climbing style: Continuously overhanging (35 degrees) power endurance. Escapable at several points around half height. The last 10 feet are easy. Tides: High Springs preferable, high neaps just about ok.
Access: Abseil down to the left (facing the cliff from the sea) and traverse in. Drying conditions: Dries very quickly at most times of the day. Continuously overhanging (40 degrees) power endurance, with an easy last 10 ft. Britain's hardest. Often dry. Height: Approx 50 feet at high neap tide. Tides: High mid/late morning neap tides or climb mid-morning after an early high Spring tide. 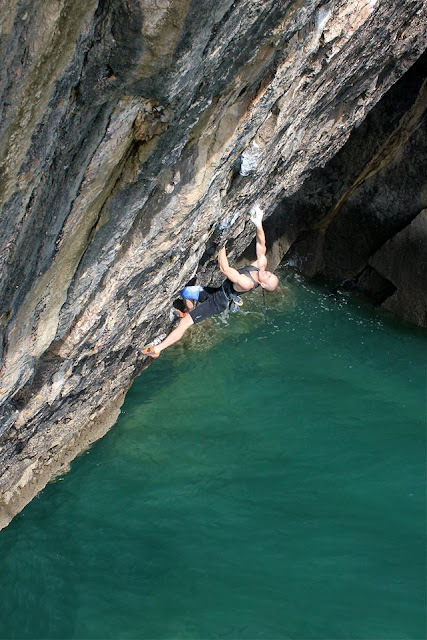 The bottom traverse will be wet at high Spring tides unless the sea is very calm. Access: Abseil into a dingy or dry-bag swim to the cave to the right of the route (facing the cliff). The cave is only accessible in calm sea conditions. There are flat ledges for standing and drying off. Drying conditions: Mornings only. Either sun or an on-shore breeze are preferable.